Incredible Designer, Smart, Custom Built Home on one of the highest elevations in Northville. Dramatic two story entry. Massive Gorgeous 9' Kitchen Island, Copper Sink, and Wolf Appliances. Butler's pantry leads to spacious formal dining room. Second floor features a luxurious Master suite, Custom built Walking Closets and Bath. Huge Basement with High ceiling and Steam Sunna/ Shower. Award Winning Theater Room (2013 Southeastern Michigan Contractors). Brand New AC, Pool Heater, Pool Filter, Sum pump. With a backup Sum Pump. 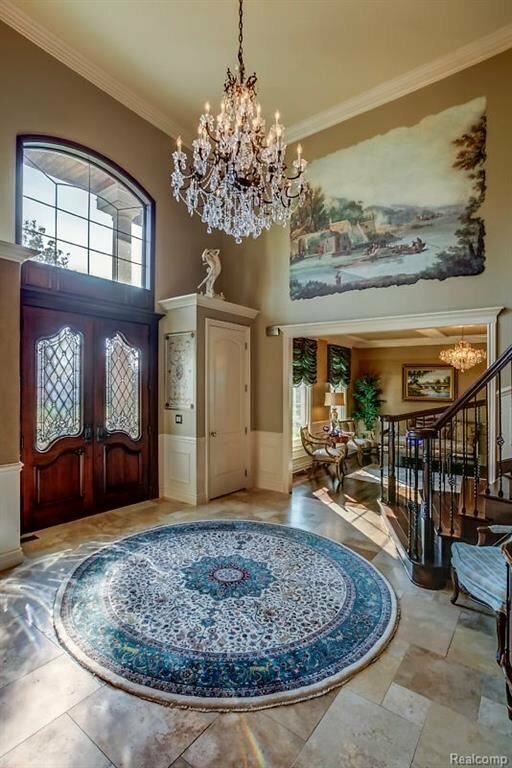 Over 8500 SQFT living space with Custom/ Decorative Painting throughout. Custom lighting fixtures. Professionally Landscaped Yard with a Stunning backyard for Entertainment. Northville Award Winning school district. This Custom Home has impeccable design and functionality throughout and is intentionally crafted for an elegant Northville lifestyle! Just few minutes to Historical Downtown Northville. ALL M/D APPROX. I.D.R.B.N.G.& B.A.T.V.A.I.